It is well understood that the history of the garrison of the Fort of Vallorbe is intimately related to the history of mobilization 39-45. On August 29, 1939, border troops mobilized and the garrison of Pré-Giroud attributed to the border battalion 214 men responsible for defending the sector of Vallorbe. The detachment gathers on the day. The workforce is 1 captain, 2 officers of the landwehr and 34 sof and sdt aged 20 to 21, two age groups. Captain swears and makes others swear loyalty to the country on the prairie of Poimboeuf. On September 2, 1939, from Pré-Giroud the clock bells can be heard sounding the alarm from Vallorbe and Ballaigues. This is the general mobilization. The major of Guisan's military unit was appointed General. On September 3, Great Britain and France declared war on the Germany. The garrison, seriously undermanned, is quickly but modestly reinforced. Months pass that allow a perfect knowledge of the work to be acquired and participation in the completion of the work. The ammunition is ordered in emergency. The band of 214 battalions ensures transfer from the station to the structure by commandeered vehicles. The site is abandoned by its worker; it needs to compensate for this abandonment. The only ones who were then able to work constructing the forts were men called up for service. Around September 20, the work can resume its normal rhythm. A large activity is in the garrison, the moments of relaxation are short and rare. Only on a Sunday afternoon is there a break, chaplains come bring the Holy Word to the fort. Reinforcements arrive from the forts of St-Maurice. These are fort workers living in the region of Vallorbe - Ballaigues - Vallée de Joux – Vaulion. On December 19, 1939, the garrison received are medical officers, the Plt Rey Philippe, fortress officer and physician at Vallorbe. Shortly before Christmas, the garrison leaves Poimboeuf to finally occupy the fort barracks. The soldier’s home is then inaugurated. Winter is harsh, very cold and experiences heavy snowfall. The outside work is suspended. On March 6, 1940 the landwehr men are remobilized. On Friday May 10, 1940, the alert is given to staff of the army, through our information service. 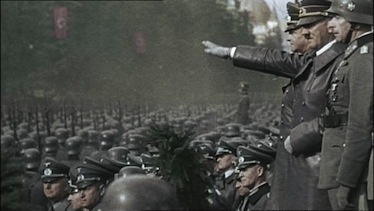 The General now knows that the Führer has made its decision to attack, but where and how? On Saturday May 11, 1940, the remobilization takes place. It is Holland and Belgium that support the first attacks. Is it a diversion or the main effort? The garrison of the fort, partly on leave or released within the radius of Vallorbe, rejoin the work as soon as possible. On Wednesday May 15, 1940, the situation is worse still. The workforce is reinforced and a barricade is constructed on the access road to the fort. The uncertainty is high for the military staff of the army. There is concern that the Maginot line has rotated across the territory by Basel and Jura. "The threat that hung over the country was obvious," said the General Guisan. On June 1, 2, 4 and 8, 1940, air combat takes place between the Swiss and Germans. Six aircraft of the Reich and one Swiss are destroyed, creating serious tensions with our neighbor to the North. On 11 June 1940, Renens, Daillens and Geneva are bombarded. On Sunday, June 16, 1940, there is a general alarm. The captain, Lambelet, orders the permanent occupation of armaments be enhanced and prepared for combat. This situation only lasted in total until the next day because the general alarm was triggered following the destruction by the French of the Northern fate of the Mont d'Or tunnel. 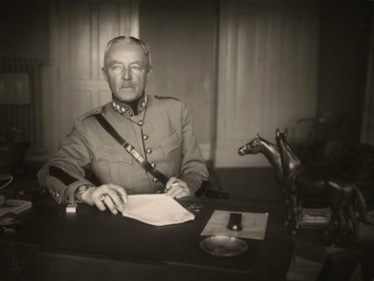 On 20 July 1940, the Rütli Report: General Guisan states clearly and solemnly our commitment to defend and announces our tactical response to the new European situation by creating the "Réduit". The country recovers! In 1941, following the fighting that took place on the Maginot line, it was decided to strengthen the defense and build three new armed forts. The workforce of the garrison then reached 130 men. On April 1, 1942, the body of fort guards is created. A strong contingent of the company moves into the fort and established there its CP to manage the sector. On 11 November 1942, at the American landing in North Africa, the Germans invade the French free zone and therefore close our only window on the free world. The workforce on foot are reinforced, the garrison now accounts for 217 men. On June 7, 1943, General Guisan visits the structure together with his warrant officer, Major Barbey. He orders that the concrete surfaces be covered with water to improve camouflage. On April 1, 1944, the bombing of Schaffouse kills 39 and injures 55. 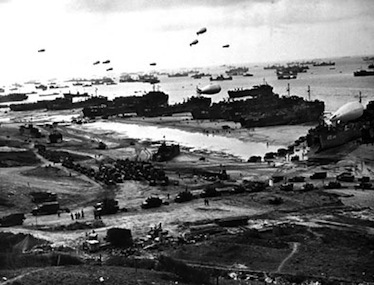 June 6, 1944, "The longest day", the landing of the allies in Normandy. Hopes turn into certainty and morale grows. A Junker 52 is shot down by our aviation of Baulmes (VD). September 5, 1944, partial mobilization for dealing with the influx of German refugees and those of the army of the General Vlassov (Russians having chosen to fight with Hitler against Stalin). February 22, 1945, bombing of Basel, Schlaffouse and Zurich leave 10 dead and 33 wounded. May 7-9, 1945, General Guisan gives his command. June 22, 1945, signing of the armistice between warring parties.